T-Mobile and Sprint have just issued a common statement on post-merger plans promising to build five customers experience centers. As soon as their proposed merger to become the New T-Mobile will close, the new carrier will build these so-called Customer Experience Centers around the United States, each creating an average of 1,000 new jobs. 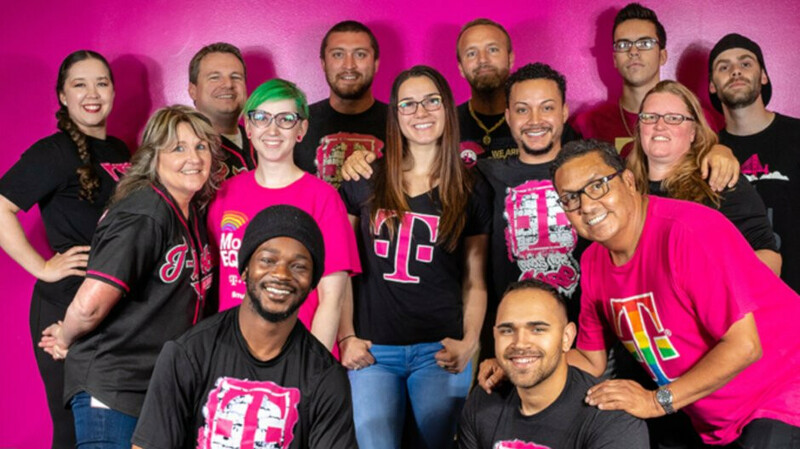 Besides creating 5,000 new American jobs, these Customer Experience Centers will offer consumers T-Mobile's TEX (Team of Experts) service, a more personalized support that uses a dedicate Care team to provide customers with the best service. The TEX model will continue to be expanded to all New T-Mobile Customer Experience Centers, and by the end of 2024, it should employ 7,500 more customer care professionals than the standalone carriers would have. When a postpaid customer calls or messages T-Mobile, they directed to a TEX team who are specifically dedicated to them and others in their area, or they can ask someone to call them back. These TEX team usually include specialists who can handle a wide range of topics, but they can also work with local retail and engineering for any issue they are presented with. Moreover, two existing T-Mobile Centers will be expanded, thus creating even more jobs. In the end, the New T-Mobile should create up to 5,600 additional American customer care jobs by 2021. In case you're wondering where these Customer Experience Centers will be built, your guess is as good as ours. T-Mobile announced that the Overland Park, Kansas will be the first of the five new locations, but the other four are still a mystery. Tmobile and Sprint are noturious for hidden fees. Now a merger, watch you money. Call your representatives to block this merger. Sprint is going to go bankrupt within the next few years if they don’t turn it around so buying them is pointless if you can take their customers down the road. They’ve been doing a lot this past year down to the retail level to JUST DELAY their bankruptcy. Please tell me they will still use GSM. I used to like CDMA, now not so much.